The Projection House present an Irish Night on Friday 14th March in Oxton Village Hall. Doors will open at 7.00 pm. 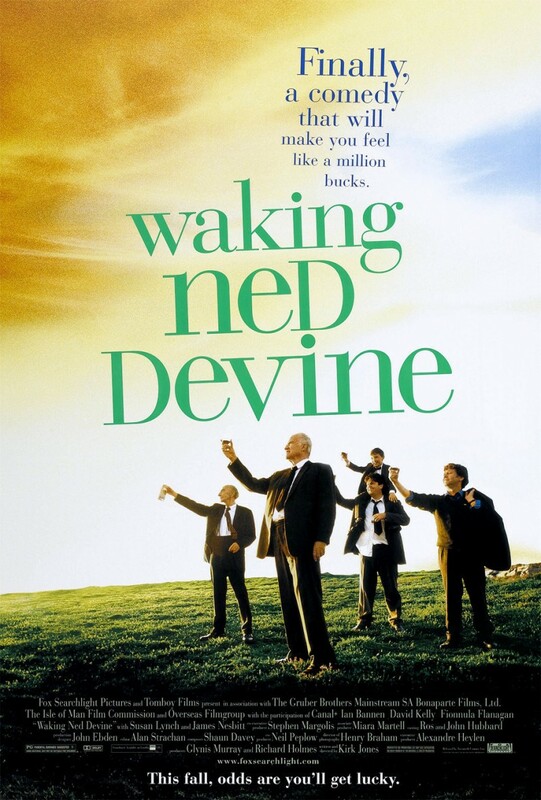 At 7.30pm there will be a screening of the film “Waking Ned Devine” (pg), a comedy starring Ian Bannen. When a lottery winner dies of shock, his fellow townsfolk attempt to claim the money. The film will include an interval during which a meal of Irish stew and soda bread will be served. Dancing after the film until midnight to the ever popular band “Wholesome Fish”. A licensed bar will be available. Tickets are priced at £10 and are available from the Village Shop or Ethel Cottee on 0115 9653477.